It is a reasonable living space, not a bad place to live your basically surrounded by most of the action at this campus submitted by Shuquana S. - Nov 29, 2016 |Recommended: YesIts a beautiful view, scenery is not that bad. surrounded by the Miami lifestyle, closer to the beach. I walk to class everyday, very convenient for me. There is so much that surrounds this campus you wont ever get bored. 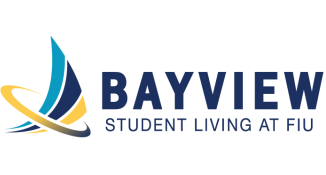 Very quiet and good place to live.submitted by Trang P. - Nov 20, 2016 |Recommended: YesEverything is new, safe and convenient for student to live and study here. Staffs are students, they are friendly and well support. Have free buses to take you from MMC to BBC, I am glad to stay here.